조선시대의 시가지는 4대문 성곽 내부로 국한되어 있다가, 19세기 후반 근대적인 교통수단인 철도가 건설되고 전차가 운행되기 시작하면서 평면적으로 확산하기 시작하였다. 본격적으로 시가지가 확산된 것은 1963년 행정구역이 확장되면서부터이며, 급속한 산업화와 대규모 토지구획정리사업으로 시가지의 확산이 가속화 되었다. 1980년대에 들어서며 서울은 도심위주의 단핵도시에서 강남, 여의도 및 영등포 등을 중심으로 하는 다핵도시 구조로 바뀌었으며, 시가지 확산은 서울의 시경계를 넘어 수도권으로 확대되었다. 1990년대에 제1기 신도시(분당, 일산, 평촌, 산본, 중동)와 2000년대의 제2기 신도시(성남 판교, 화성, 김포, 파주)가 개발되고 대중교통망이 광역화되면서 서울시의 통근권이 더욱 확대되고 시가지가 확산하였다. 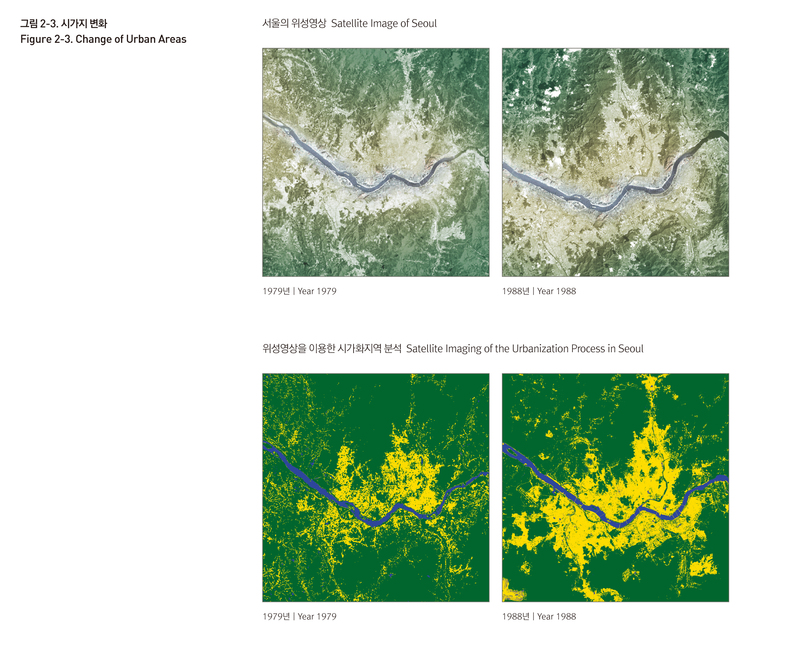 During the Joseon dynasty, the built-up area of Seoul was limited to the walled city inside the 4 main gates. It underwent rapid expansion due to the introduction of modern transportation in the late 19th century and the industrialization and readjustment projects of the 1960s and 70s. 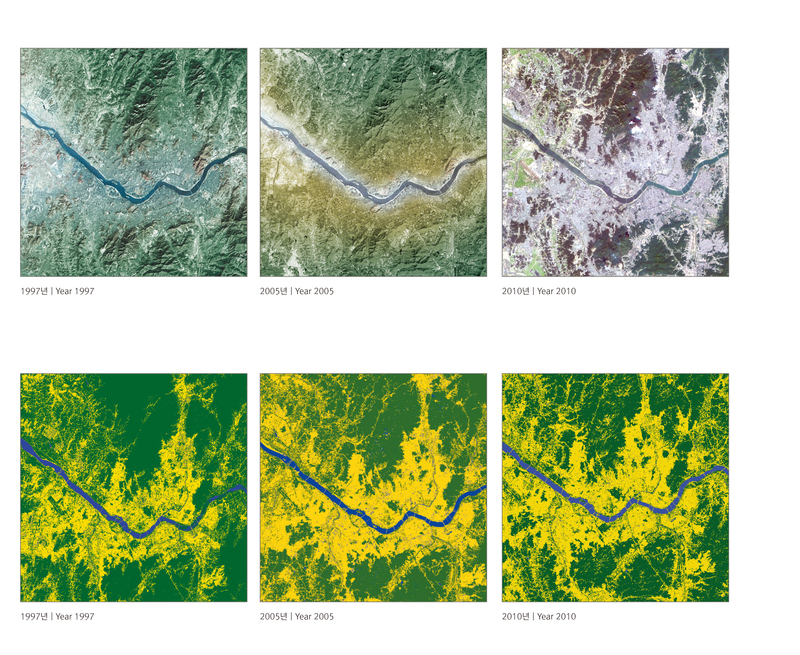 During the 1980s, when Seoul developed into a multi-centered structure with different axes located in gangnam, yeouido, and yeongdeungpo, the built-up areas of Seoul began to pour over the city boundaries and into the metropolitan area. The development of the first and second waves of new towns in the 1990s and the 2000s ushered in the expansion of transportation networks and commutable areas, while built-up areas continued to expand in these newly developed areas.